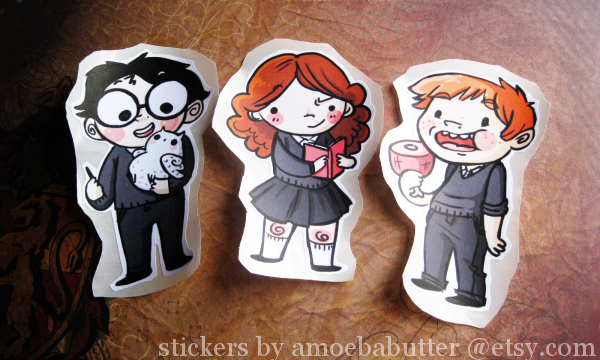 Ever just wander around the internet looking for some adorable stickers of the golden trio and come across an amazingly cute set of them? When I was scrambling around the internet to treat myself to something small (having survived another semester of school) I discovered these! 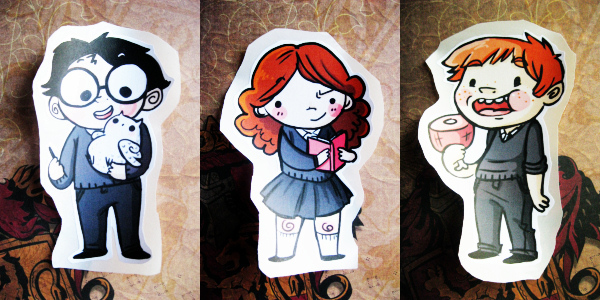 At Amoeba Butter on Etsy I found this sticker set of Harry Potter, Hermione Granger, and Ron Weasley. Almost five inches tall and encapsulating all three of their different personalities in high quality, they are easily one of my favorite finds online. Sarah has even more imaginative items I hope to obtain one day like paper dolls of Severus Snape, Draco Malfoy, and Harry Potter. 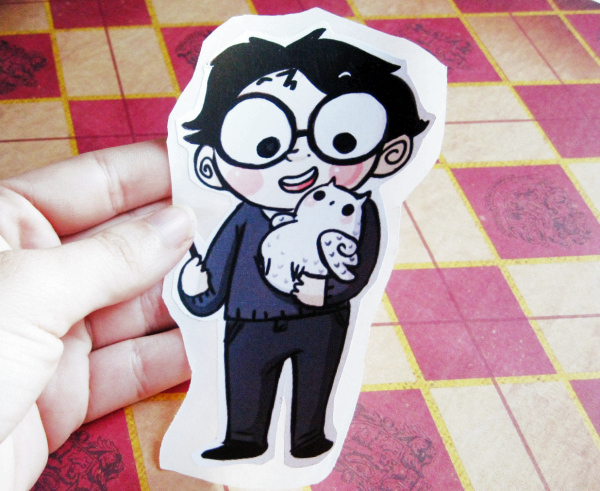 I'm not sure where I'll put the stickers as yet. 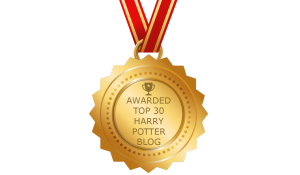 I feel like I'm savoring someplace special for them so they go in the right place - maybe on my laptop or betwixt the covers of one of my Harry Potter journals. 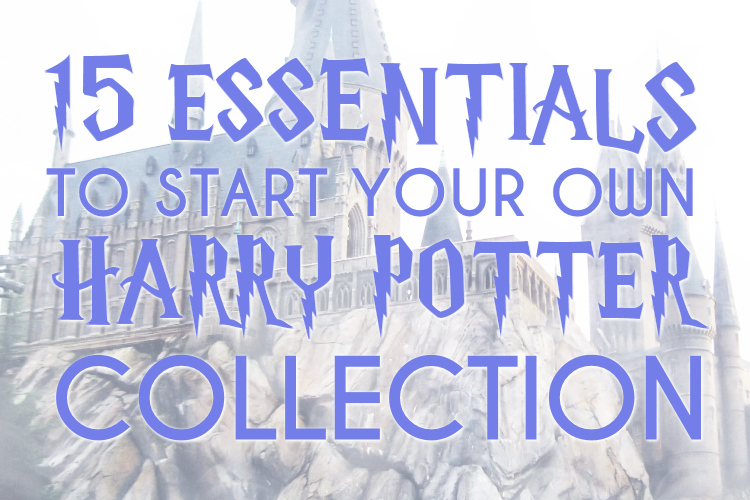 Anywho, I think they are going to be wonderful decorations to wizardify my muggle life, and if you're looking for something similar for a friend or yourself you may want to consider getting these as well - they're amazing and well worth it. Thank you Ting - so happy you enjoyed the post! 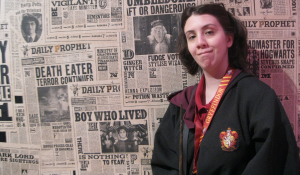 I miss Harry Potter so bad :( is there anything I could do to be up to date about everything? Like actors and stuff?